Home Body	Magnesium, The Miracle Mineral! Magnesium is not just a necessary mineral for your body, it’s also one of the keys to maintaining a life of longevity and health. Unfortunately, an estimated 80 percent or more of Americans are deficient in magnesium and I just happened to be one of them. My road to discovering the miracle of magnesium began with my decline in general health. I was tired really tired it seemed every time I went to the gym to work out my stamina was declining each week. I couldn’t figure out what was wrong because I thought I had a well-rounded diet( I don’t eat red meat nor GMO’s), I go to the gym 5 days a week and was adequately supplied with the right supplements or so I thought I was. So I started to google my symptoms and came across a web page mentioning Dr. Caroline Dean with mind-blowing information about magnesium. I listened to hours of her Youtube videos and I was so impressed with Dr. Deans information I bought her book The Magnesium Miracle on Amazon after I received the book I actually read it in one night. 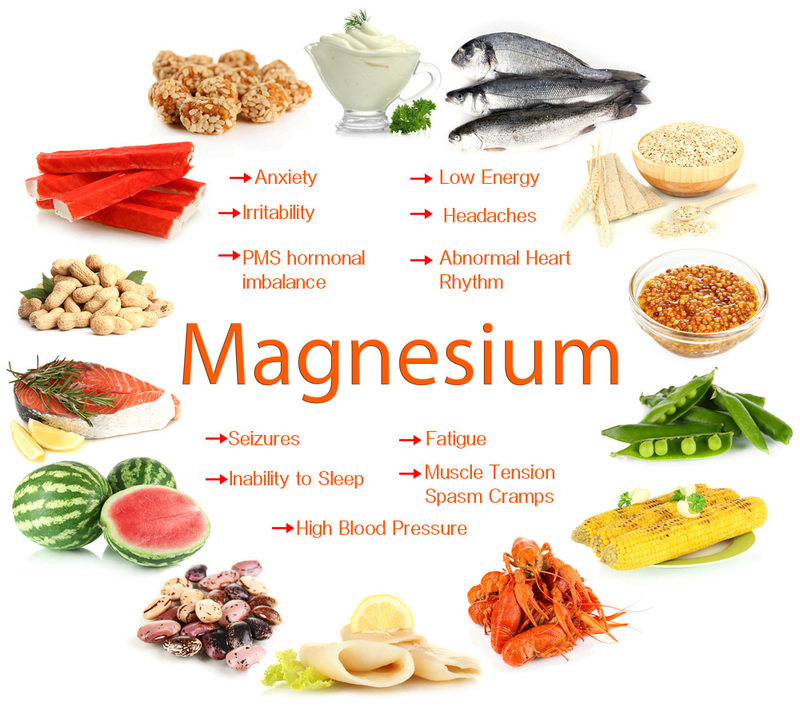 So what does magnesium do in the body? But the real interesting part is what happens to the human body when there’s a magnesium deficiency. So why do so many of us have deficiencies? the industry for whatever reason does not put magnesium in commercial fertilizers. After all my research I could clearly see that magnesium was a panacea for all kinds of ailments. But I couldn’t just buy any magnesium supplement because different forms of magnesium have different levels of bio-availability. Magnesium is not easily absorbed in the body unless first attached to an amino acid, hence the term “chelated”. The key word to look for is “bio-availability” which refers to the amount of magnesium that can be assimilated by the digestive system and used by the body. The other key thing to note is depending on what the magnesium is chelated to it becomes more specialized for specific conditions. Magnesium citrate – is one of the most popular magnesium supplements, most likely because it’s inexpensive and easily absorbed. Since citric acid is a mild laxative, it’s a great choice for individuals with constipation issues. Magnesium taurate – Magnesium taurate is an excellent supplement for people with cardiovascular issues because it ’s known to prevent arrhythmias and guard the heart against damage caused by heart attacks. Magnesium taurate is easily absorbed and it has no laxative properties. Magnesium malate – Magnesium malate is very good for fatigue and is also highly soluble. Magnesium glycinate– This is one of the most bio-available and absorbable forms of magnesium, and is also the least likely to induce diarrhea. It’s one of the best options for correcting long-term deficiency. Magnesium chloride – Magnesium chloride only contains around 12 % elemental magnesium but its absorption rate is impressive and is the best form of magnesium to take for detoxifying the cells and tissues. Magnesium carbonate -Magnesium carbonate is another popular bio-available form of magnesium that actually turns into magnesium chloride when it mixes with the hydrochloric acid in our stomachs. It’s a good choice for those suffering from indigestion and acid reflux since it contains antacid properties. Magnesium oxide – Magnesium oxide is the most common form of magnesium in supplements and that’s because it’s the least expensive, but it’s not well absorbed and definitely not recommended. Magnesium sulfate– Magnesium sulfate also known as Epsom salt is a fantastic constipation aid and muscle soak for pain but is an unsafe source of dietary magnesium. Magnesium glutamate and aspartate – Avoid these two forms of magnesium. I ended up choosing Dr’s Best elemental magnesium glycinate from my local health food store. Unbelievably on the first day of taking a 200 mg dosage, my energy level was through the roof, just like how Dr. Dean exclaimed on her video. I felt like I was injected with the legendary Soma the elixir of the Vedic gods. My vigor at the gym doubled for most exercises. With some exercises where I could only do 10 reps now, I could do 20 to 30, where I could only do 5 sets I could now do 10+. What really surprised me was certain health annoyances I had also disappeared. I had no idea this annoying eye twitch I had for months was because of magnesium deficiency…gone! The whole blood pressure mystery in America is a big hoax, “they” know why so many people have high blood pressure but they’re not going to tell you. They know it’s primarily because of magnesium deficiency, but the Pharmaceutical industry is making to much money off of diuretic drugs to allow people to free themselves from this condition with a $12 bottle of magnesium. They will never tell the masses that simple elemental magnesium can correct the issue with a majority of cases. For the last couple of years, I’ve been fighting pre-hypertension, my blood pressure had been hovering around 135-40/85-90. Nothing I tried worked, I tried everything from Chinese traditional medicine to herbal naturopathy, but I had no idea that all I was doing was fighting the symptoms. Within days of taking Doctors Best elemental magnesium, my blood pressure dropped to 120/80. Good luck on your Health Journey! Nothing is incurable! Can the cure for Epilepsy be simply Magnesium?